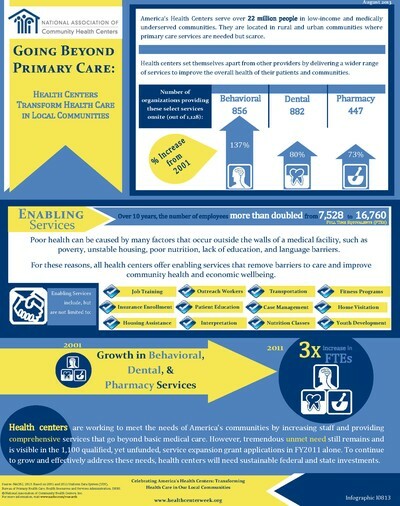 Through data and imagery the National Health Center Week infographic highlights the wide range of services health centers provide beyond primary care, including behavioral health care, dental, pharmacy, translation services, transportation, insurance enrollmentand more! Download the infographic in English and in Spanish. Use the new NHCW press release template – in English and in Spanish – to send your local media the infographic along with a list of all the services your health center provides. After you customize the press release template, send the press release along with a copy of the infographic to your local TV, newspapers, radio, and online news outlets.